Magura Next MT-7 four piston. Also fits MT-5. 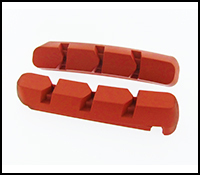 We now have sintered Magura MT Next replacement pads available. We have organic replacment pads for Magura Next MT-5. 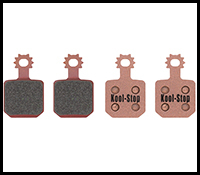 Kool Stop replacement brake pads for Shimano Deore LX cantilever brake systems. 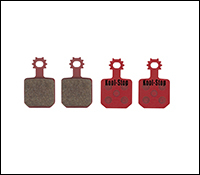 Pads are available in Salmon compound for extreme/all-weather riding conditions or Black compound for drier conditions. Replaces Shimano model M65/T. Also replaces part number LX-M565. 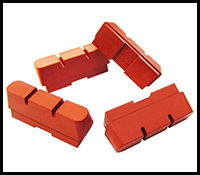 Pads are sold in complete sets. 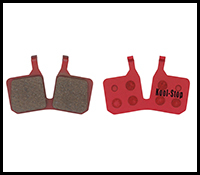 One set contains one pair of pads for the front and one pair of pads for the rear of the bike (4pcs. total). Brake pad holders not included. We now have replacement pads for the Suntour Superbe holders.